Unfortunately, college students have to do a lot of writing. This is a major part of all college courses. Students are graded based on their essay writing abilities, which can play a role in their final grade in the course. Not all students are skilled in the area of writing. Some are naturally better at solving math problems or testing science experiments. This leaves some students in a tricky spot. If you can’t write a strong essay, your grade will be affected negatively. According to this study, how well you write can even influence your future jobs. In many career fields, you need to be able to write and communicate effectively. If you can write well, you will likely advance in the workplace. If not, you may be held back while others move ahead. Writing well is necessary for college and in your career too, so you need to find ways to improve your skills. If you aren’t a strong writer, it’s important that you work on your writing skills. You can’t spend a lot of time polishing your writing skills because you likely have more essays to write. Luckily, there are some quick and easy ways that you can improve your writing abilities. Write for fun. One of the easiest ways to become a better writer is to try writing in your free time. This can be in a journal or on a blog. By doing this, you will become more familiar with writing. If you learn to enjoy writing, you will likely put more time and effort into it. This will then help you to become a better writer. Use custom essay writing services. Many students are aware of academic writing services available online. These essay writing services give students access to professionally written papers. You can look at these essays to learn more about writing and how to write well. You might notice patterns in the professional papers that you can mimic in your own writing. Read scientific papers. Many of your college papers will involve scientific papers or research studies. By reading these, you will become more familiar with how they are formatted and the type of information that they contain. They can also help you to write well because you will be getting used to the language. Read for pleasure. Many students neglect reading for pleasure because they are swamped with homework and assigned readings. If possible, try to read for fun for five or 10 minutes per day. Becoming familiar with books can show you the new vocabulary and grammatical structure to use in your own writing. Again, this will help you when it’s time to conduct research for your essay. By reading regularly, you might end up liking reading more. This will then help you when it’s time to read for academic purposes. Take advantage of a writing center. At many colleges, students can visit a writing center. At these writing centers, students can share their papers and have them edited by other students. The students who work at writing centers are usually English majors or have extensive writing knowledge. Some writing centers have online services so that you don’t have to stop by in person. Meet with a professor. You can meet with one of your professors to ask for help with your writing. They might have ideas and tips to help you to get on the right path. For a lot of professors, putting forth the effort to get help goes a long way. Your professor will understand that you are attempting to improve your writing and may assist you further. Watch YouTube videos. As you know, there are YouTube videos for nearly anything. One of these things includes writing videos. A simple search for “how to become a better writer” will give you access to countless videos. Here are a few to get you started. Attend webinars on writing. Webinars are similar to YouTube videos, but they have more lesson-based approaches. Some universities offer writing webinars online. Some webinars are archived on websites so that you can go back and watch them at any time. Here are a few websites that offer webinars. Take an online writing course. There are lots of websites where you can take free or very affordable courses. On each of these websites, you can find courses for all skill levels and for a variety of topics. Listen to podcasts. You can find podcasts to listen to via Spotify, Stitcher, iTunes, and other apps. Writer’s digest has podcasts about writing that you can find here. To listen to others, search for “writing podcasts” wherever you get your podcasts from. You can find time to listen to podcasts while driving, walking, or just hanging out! 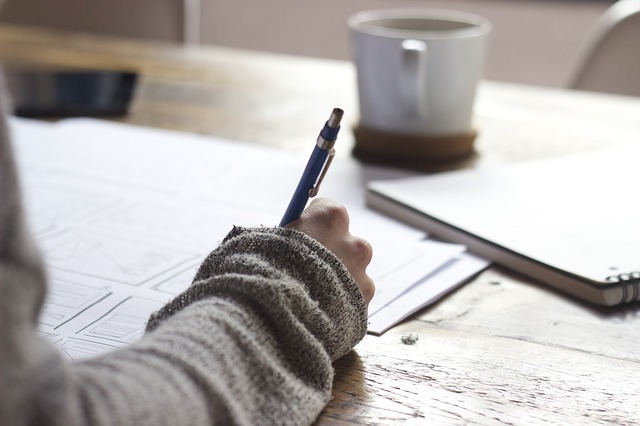 Learning how to become a stronger essay writer doesn’t have to be complicated and intense. Select a few of these methods and give them a try for a week. You may have to experiment to see what works best for you, your lifestyle, and your writing skills. Be sure to explore the options available at your own universities, such as writing centers or webinars!